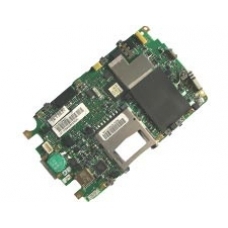 This is a replacement HP iPAQ h6300 main board with Bluetooth and Wifi module. If your iPAQ motherboard has failed this is the correct replacement part. * Processor: 200MHz Texas Instruments OMAP 1510. * Memory: 64MB SDRAM, 64MB Flash ROM. * SDIO Secure Digital Expansion Slot - also works with MMC. * Integrated Bluetooth and Wifi Module. * Quad-Band GSM / GPRS Mobile Phone Technology. * Operating System Microsoft Windows Mobile 2003 Second Edition. If your mainboard has failed then this is the service for you! Our experienced repair specialists will replace your faul..